Forex Lasers Forum - good books? hi every1, I'm a new trader here, thanks Ash for making this forum, and helping me with ur kind efforts. i just been getting into demo mode for a couple of months and would like to know, what is the best book or books even, for a new trader starting out? "Bird Watching in Lion Country" is one of the first books I read when I started off, and it was a real help. You can do a search on Google to find where you can get it from. Good luck and welcome to the Forex Family. Any opinion on the above? 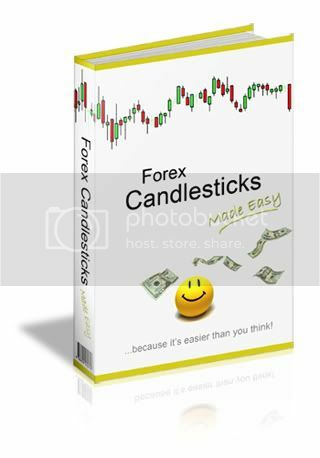 Another forex newbie recommended it to me.
. When you have the basic's it becomes much clearer. If babypips.com was in book format it would be falling apart by now with the hours I've spent on their site. Their tutorials are super. I'm new to trading and have spent hours looking for good websites that are informative without any fancy descriptions. This one does it beautifully. Currency Trading for Dummies . I think Currency Trading For Dummies is good, but for a quick run through babypips.com is great as mentioned above. I had the same problem of having to access the internet for pips school on babypips,com so I had it printed out and filed up as a 'reference' sort of file. I have the babypips school in pdf if anyone wants it, PM me. I found Technical Analysis of the Financial Markets: A Comprehensive Guide to Trading Methods and Applications by John J. Murphy to be very good on the technical stuff... but have found over time that simply watching the charts and putting in "chart time" to have been the most beneficial. Good ebook for Newbie ! Please PM me if you want this ebook, i'll give it to you the link for Download FREE ! Excellent, understandable with clearly explained stratagies. Ed Ponzi ... Yeah ! I still have not gotten use to loosing trades or giving back a big part of a good trade. I can get emotional knots in me and not even know it until i've made that one big stupid trade. This article has help me a bit. Tilt as it is called in Poker happens to me in Forex. 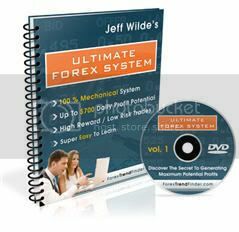 There are tons of websites and articles that cover this topic and for me it applies to forex. Reading 5-10 articles like this has help me to STOP TRADING before I make that one big stupid trade or a bunch of little stupid trades. Before I feel half crazy or even if I have stupid thoughts jumping off within me I STOP TRADING. I never want to be emotionally out of control, not really knowing whats going on inside of me. In the past negative thoughts have snowball and I have had 3-5 things bugging me at once. Fueled with anger I'm still hacking away at trades. NO MORE! Well at least I've increased that odds of it not happenings as much. But I know that it can happen again. And I will continue to be ready for it. And take the medicine for it. WHEN I'M GOOD AND READY COME BACK FRESH. WHEN ALL THOSE NEGATIVE THOUGHTS AND FEELINGS ARE GONE AND I'M FOCUSED ON THE MARKET AND THE SETUPS THEN I'M READY TO TRADE. the "Secrets of the Masters" trading game is available free for the first 3 levels. It is a 10 level game, but the basics of money management in trading can be practiced in simulated trading where you can lose your shirt or make a lot of money depending on how you manage the amount you risk on each trade. It is worth the price - free. Just google it and you will find the site for it. I have not seen Manus on here for some time, even posted a PM to him, but no response, does anyone know where we can find these free eboooks, Manus says he had a link to them, but I have not seen him here for a while, bit torrent probably had these books but I am sure they have viruses also, any help in this matter, would be greatly appreciated, education is the name of the game, and even good traders can always get better, thus, the wanting of these free ebooks, no sense in doling out good money, if the books could be had for free. is ...? relevant, not sure how, but anyway has anybody read it, and is it worth the bother ? to find it and read it? Manus, thanks for all those lovely links! Great!! I wonder, if you could help me: I am searching the second book of Bill Williams "New Trading Dimensions" in English INCLUDING graphics. I found at the usual suspect sites the book in english - alas without graphics (pictorials) and other versions including pictures --- als in russian language. I wonder if you could help ( a link regarding his profitunity course would be appreciated as well). Did you mean 2nd edition or New Trading Dimension Part.2 ? If you’re often confused by the behavior of the markets, you won’t wantto miss this incredible video. Veteran trader Bill Williams reveals thePractical Fractal, a scientific analytical method that’s winning wideacclaim from the trading community. After explaining what a fractal isand showing you how to use it to enhance your profit potential, Billshows you how to use chaos to quickly determine market direction andentry and exit points. 4. What Is the Market? 85 minute video Learn how to analyze any market of any time frame and discover where to buy, sell, pyramid, take profits and stop and reverse. Plus, you’ll find out why giving in puts you in alignment with the market and learn how to use MACD to trade spreads more profitably. Now you can understand what chaos is and how you can use it to boost your trading profits. Learn how to analyze any chart in ten seconds and how you can see “pit action” on your own trading screen. Learn why the science of Chaos Theory draws a more accurate picture of market action and intention than other approaches and how you can apply this theory to your trading and daily life. This opportunity allows you to gain the benefit of years of experience in two hours while learning Profitunity’s unique “10 second analysis". You will learn why over 90% of all traders lose money consistently while 50% of all contracts make money on each price change, even though traders rank in the top 10 percent of intelligence of the general population. Bill believes that most traders lose because they use the wrong logic maps. Linear techniques from classical physics and the most common technical indicators simply don’t make profits in non-linear markets. He discusses which techniques to use (only three to trade the Profitunity technique) and which to avoid. You will learn why the usual axioms (“buy low, sell high” and “follow the trend”) throw you off the profit trail and why concepts such as “bullish/bearish consensus", “oversold" and “overbought” do not really exist. To continuously trade profitably, you must “stop the lies and listen to the truth.” In trading, your brain is not your friend. In the second part of this session you will earn unique ways to “boot up” your “twin-hemispheric neck top computer” to get in synch with the market, producing better trading and more relaxation while trading. It may be time to stop optimizing your computer and start optimizing yourself. You will receive trading setups that will automatically show Profitunity signals real time. You will also learn the five words that will guarantee your success in trading the markets.